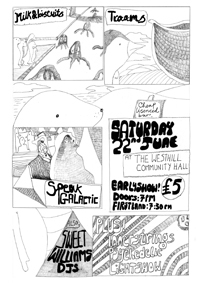 Here’s our gig picks for this weekend coming up. We’ll keep things short and sweet this week since this isn’t the only post we’ll be putting up tonight. 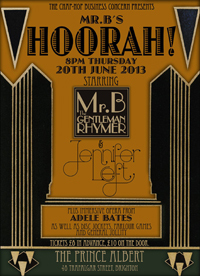 Thursday night’s pick is Mr B The Gentleman Rhymer, who’s playing at the Prince Albert, supported by Jennifer Left. Meanwhile, at the Pav Tav Luo and Marvin Molina provide support for Sheffield’s Kimmy Yeah. On Friday night The Resonators headline the Blind Tiger. If dub isn’t your thing then Flash Bang Band are playing for free at Northern Lights. There’s also a Brighton Rocks night at Sticky Mikes, with The Victorian Hunter, The Evil Son and the Frank Melena Band.